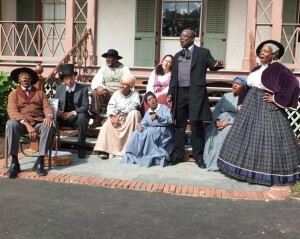 Washington Revels Jubilee Voices joins the Prince George’s County Black History Program at Riversdale House Museum for a celebration of Maryland Emancipation Day. The evening begins with a lecture by Dr. Clara Small of Salisbury University. Jubilee Voices performs from 8:00-8:25 pm and the event concludes with a libation ceremony. Refreshments for attendees will be provided. DATE/TIME: Thursday, November 1, 7–9 pm; Washington Revels Jubilee Voices performs from 8–8:25 pm. TICKETS: Free and open to the public. RSVPs required. MORE INFO: Visit the Prince George’s County Black History Program’s website.